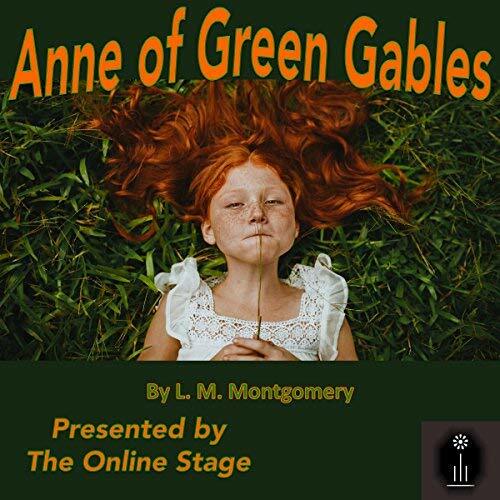 Lee Ann was pleased to perform the role of Mrs. Barry in the latest production from The Online Stage — Anne of Green Gables by L.M. Montgomery. This recording was produced in cooperation with Spoken Realms. The always delightful and entertaining classic Anne of Green Gables is performed by actors from The Online Stage! Written in 1908, for all ages, by Canadian author Lucy Maud Montgomery. She published as L. M. Montgomery. Anne Shirley is an 11-year-old orphan adopted by a middle-aged brother and sister, Matthew and Marilla Cuthbert. They had wanted to adopt a boy to help with their farm on Prince Edward Island in the fictional town of Avonlea. Matthew persuades Marilla to give Anne a chance. Anne is a handful, and they fall in love with her. The sequels will follow Anne as she grows up under their care for her. The Online Stage is a collective of narrators and actors who have come together to create high-quality productions of classic dramatic works in audio format. To listen to the sample and/or purchase the recording, head to Audible here. Posted by lahowlett on July 5, 2018 in Uncategorized and tagged Audible, audiobook, children's books, children's classics, Spoken Realms, The Online Stage.